Bogota, Colombia’s landmark 14,000 capacity Movistar Arena (originally built in 1973 and previously known as the Coliseo Cubierto El Campín) is in the final stages of a two-year renovation and complete refurbishment which will see it re-open with state-of-the-art facilities to stage multiple sporting and entertainment events. Robe moving lights will be part of the house lighting rig which is being provided by Medellin based rental company Linea Estrategica, and this will include 60 x BMFL Spots, 60 x MegaPointes and 84 x Spiider wash-beam moving lights. 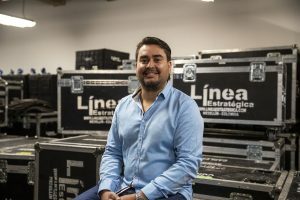 Linea Estrategica owner and CEO Conrado Santamaria explained that the company tendered to be the full technical supplier – they are also providing audio, video and rigging – and won the contract which will be administered as a long-term rental over the next three years. Delighted to land the project, Conrado explained that for him and his team it was a straightforward decision to spec Robe into the venue, “At the moment, Robe is on all the riders” he stated. 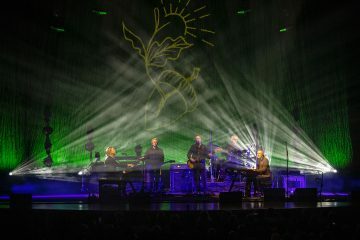 The fixtures were also picked to offer LDs, programmers and operators working on all genres of performance including televised sporting events a powerful and flexible array of creative tools. 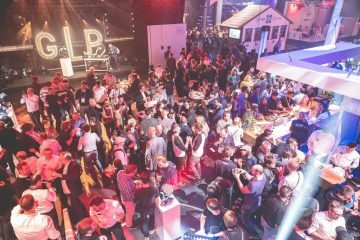 The standard house stage will be 22-metre-wide by 14-metre-deep and sporting events will usually be staged in the round. The Robes will be joined by several other lights – strobes, blinders, LED battens and some generics – but they will be the core luminaires. As well as hosting some of the best and most popular Colombian bands – in a country with a rich music scene – plus key artists from all over Latin America, Colombia is now being visited with increasing frequency by international performers on their world tour circuits. It is very much ON the map! Linea Estrategica started purchasing Robe products around 18 months ago from AVcom Colombia, Robe’s distributor there, a decision driven by demand from customers, production managers and lighting designers. inventory of around 700 luminaires in total. Now they have started and had such a great result with the Robe investments, he reckons the percentage of Robe in rental stock will continue increasing. 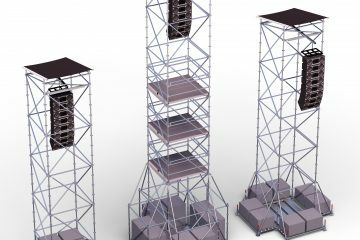 On the audio side, Linea Estrategica has also invested in premium brands – including L-Acoustics – a plan that has certainly paid off. Conrado observes that both Robe and L-Acoustics will often be requested together on equipment specs. He likes the fact Robe is still an independently owned company and well hungry for innovation and creativity in its product development. “You get the impression that they are constantly striving to push everything forward and upwards”. 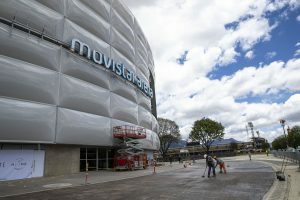 Linea Estrategica is opening a warehouse in Bogota to facilitate and service the Movistar Arena contract, and there will be a dedicated team of technicians looking after all the kit in the ‘new’ venue, which is expected to stage over 90 events and receive a million spectators annually. Conrado founded Linea Estrategica 9 years ago to supply high quality full technical production packages and infrastructure. As well as running the rental company he’s also a concert and event promoter, and experienced in staging shows and understanding the importance of good production values for artists … and the audiences who pay to enjoy them. The company currently has 60 full time staff and is active in all sectors of the live entertainment and events markets.